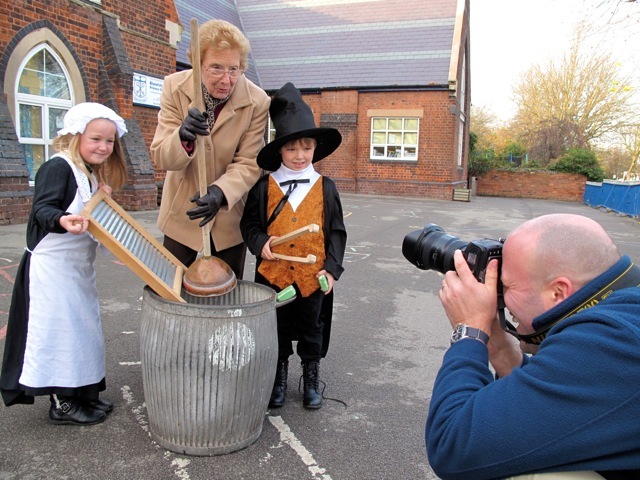 Oldest school in Bloxwich celebrates Founders Day | The Bloxwich Telegraph – incorporating The Bloxidge Tallygraph and Walsall North News. Founded 2006. Founders Day at Bloxwich Church of England JMI School, affectionately known to generations of Bloxwich folk as ‘The National’, is always a special occasion for pupils, staff, parents and visitors alike, but last Thursday’s open afternoon for Founder’s Day was particularly significant at the beginning of the 150th year of the present building, and the editor of The Bloxwich Telegraph was delighted to be invited to experience this aspect of the school’s life in person. The history of the little school by the village green goes back a very long way; in fact it’s the oldest school in Bloxwich, and one of the oldest in what is now Walsall Metropolitan Borough, preceding schools run by the local council (‘board’ schools as they were known initially) by some years. But back in 1828, when the original building was built, there was no such place as the WMB, just the Parish of Walsall, divided into the townships of Walsall Borough and Walsall Foreign. Bloxwich was at the often rebellious heart of the Foreign, within which it had much influence, and the village still feels separate and distinct in so many ways. It should be no surprise, then, that ‘The National’ is equally distinctive, with one foot in history and the other in the future, both meeting in the present as a school which is both popular and highly regarded. It is quite obvious to any visitor that the combination of dedicated, enthusiastic staff and hard-working, inspired children who seem to enjoy what they are doing very much, is an excellent one. Whether you’re religious or not, the ethos of this school just seems to work, and work well. But if you’re a parent there you’ll know all about this. 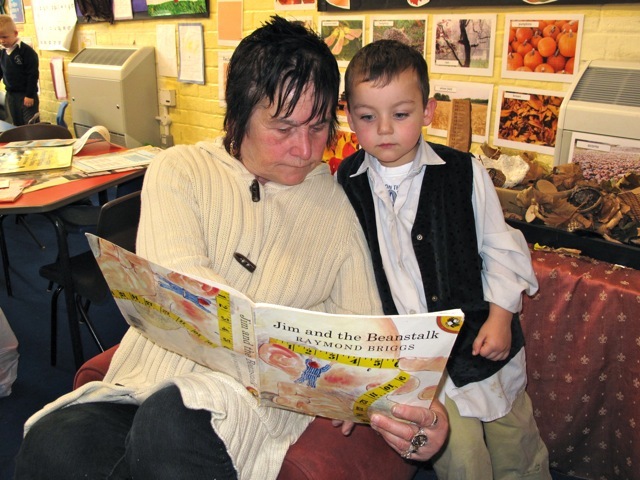 The early history of education in Bloxwich is a fascinating subject, and this school has an important role in it, which still continues, as was evidenced by all the hard work – and fun activities – going on there last Thursday. Everything from traditional Christmas decoration making through school history projects and dressing up in historical costume (both children and staff!) were in full swing when I arrived, and history, particularly local, is an important part of the curriculum there, as it should be – for if we forget where we have come from, how can we know where we are going in life? A little historical background sheds light on this. By will proved in 1616 William Parker, a London merchant taylor and a native of Bloxwich, left land to the Merchant Taylors’ Company to provide a stipend of £20 for the minister of Bloxwich chapel. A condition of the bequest was that the minister should, without charge, teach the boys of Great and Little Bloxwich, Walsall, and Harden, ‘and others that dwell in odd houses in Walsall parish’ to read English, both printed and handwritten. The school was to be held in either the chapel or the minister’s house. In 1617 a newly appointed minister subscribed also as master of Bloxwich school. The minister was still the schoolmaster in the early 18th century. By the early 19th century, however, he no longer taught but paid £8 of the £20 stipend to a master who taught 15 poor boys to read. Between 1806 and 1814 the governors of Walsall grammar school also paid the master £25 a year to teach 25 boys writing and arithmetic. In 1819 the payment was being continued by the parish (of Walsall, because although it had a chapel since the 1400s, Bloxwich did not have its own parish until 1842). The chapel clerk was the master in the early 19th century. He lived in the non-resident minister’s house rent-free and apparently taught the children there; the ‘day school in the chapel yard’ mentioned in 1813 was presumably the minister’s house. In 1826, however, John Baylie, the newly appointed minister, decided to occupy the house. Then homeless, the school declined into a Sunday school, meeting in public house clubrooms. Baylie re-established the school in 1828 as a National school for boys and girls, built on a site given by Lord Bradford at what is now the northern end of High Street, Bloxwich, then adjacent to the village green, now Bloxwich Park. This was supported by the National Society, which had been founded at a meeting on 16 October 1811 attended by Joshua Watson, the Revd Henry Handley Norris (Watson’s brother-in-law), and John Bowles, JP with the Archbishop of Canterbury in the chair. Its stated aim was ‘that the National Religion should be made the foundation of National Education’. The mission of the Society was to found a Church school in every parish in England and Wales and it began a national system of education establishing nearly 17,000 ‘National Schools’ , which were later supplemented by the State from 1870 onwards. At Bloxwich National School, in 1828, fees of 1d. or 2d. a week were charged, but part of the income from Parker’s bequest was used to provide free education at the school for 15 boys. In 1833 108 boys and 70 girls attended on weekdays and 140 boys and 80 girls on Sundays. In 1844-5, with the aid of grants from government and the National Society, a classroom and an infants’ schoolroom were added. A teacher’s house was built in 1846. In 1857 the basic weekly fee was 2d. for boys and girls and 1d. for infants. There was an additional fee of 2d. a week for older girls and for boys who attended an extra class held between 4 p.m. and 5 p.m. In 1862 the schools were rebuilt on the same site, founding the present building. They were enlarged c. 1900. 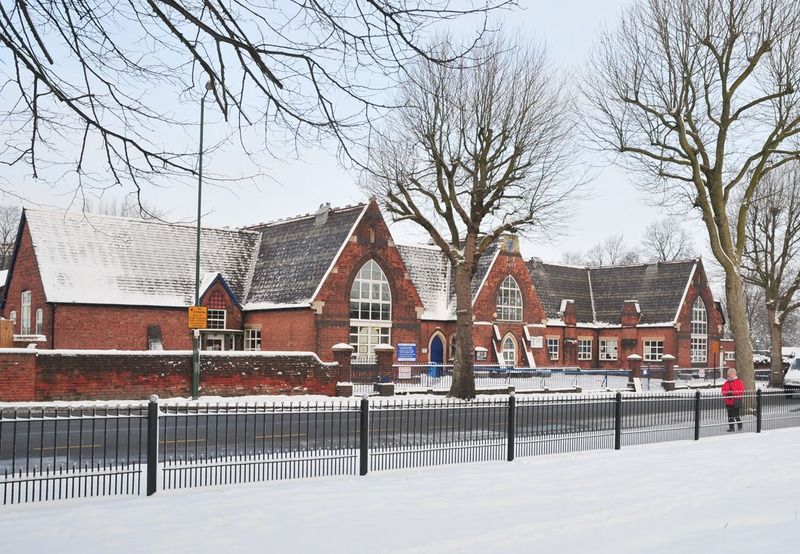 In 1931, after further additions and alterations to the buildings, the schools, by then known as Bloxwich Church of England Schools, were reorganized as senior mixed and junior mixed and infants’ schools. The senior mixed school became a secondary modern school after the 1944 Education Act. Both schools took voluntary controlled status in 1948. In 1974, around the time of Walsall’s reformation from County to Metropolitan Borough, the secondary school was closed and its buildings were taken over by the junior and infants’ school – today known simply as Bloxwich C Of E Primary School. For many years now, the school has also been making good use of the old 1857 Music Hall (also known as the Bloxwich Public Hall, the Drill Hall and the Labour Exchange in its time!) next door, for sporting activities. They have also in more recent times taken over the former Bloxwich Neighbourhood Office adjacent. Now known as the Winsper Building, and acting as the public reception for the school, this old cottage was in fact built before the present school, and was Bloxwich’s first Police Station from at least 1861. Since its foundation, there have been some changes to the buildings, and some refurbishment work, not to mention the inevitable equipping of classrooms with now-ubiquitous digital technology, but much of the 1862 school remains, and thankfully so do many of the school’s records. It is important to preserve both in a time where it is so easy for our heritage to disappear before we even know it’s gone, and the dear old ‘National’ is to be commended for doing its best to honour, look after and keep that heritage alive while rightly looking forward, to a bright future for its young charges. A CD of these and more pictures taken at the Founders Day has been donated to the school for the free use of the school, pupils and their families. Historical background courtesy of the Victoria County History of Staffordshire and The National Society. Previous PostMarkets in Walsall affected by strike actionNext PostSaturday sparkle kick-starts Christmas in Bloxwich!